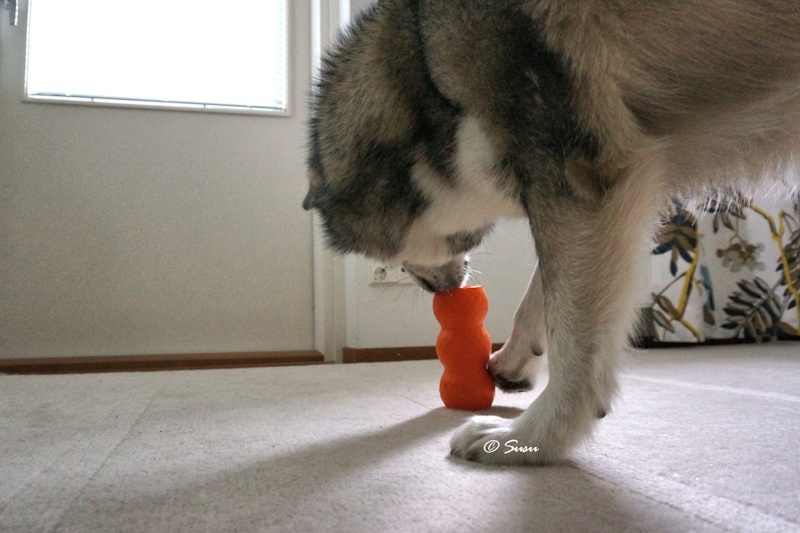 Kong Genius Mike is a durable and versatile toy. 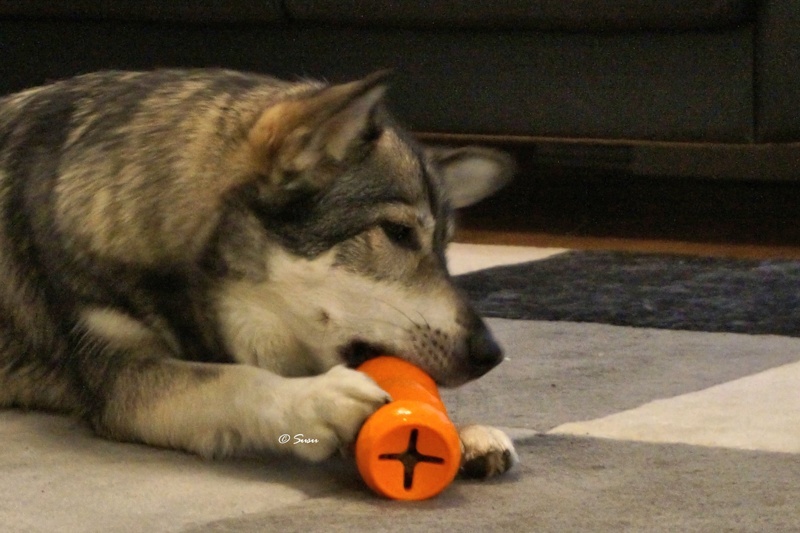 This toy is available in many sizes and this toy is size L.
I usually put kibble in this toy and it takes Miki about 2-3 minutes to get all the kibble out. Because the toy is guite easy, you can give this toy to a dog that has only some experience with food dispenser toys, but remember to choose very small treats so they’ll fall out easily. You can adjust the difficulty by using different size treats. 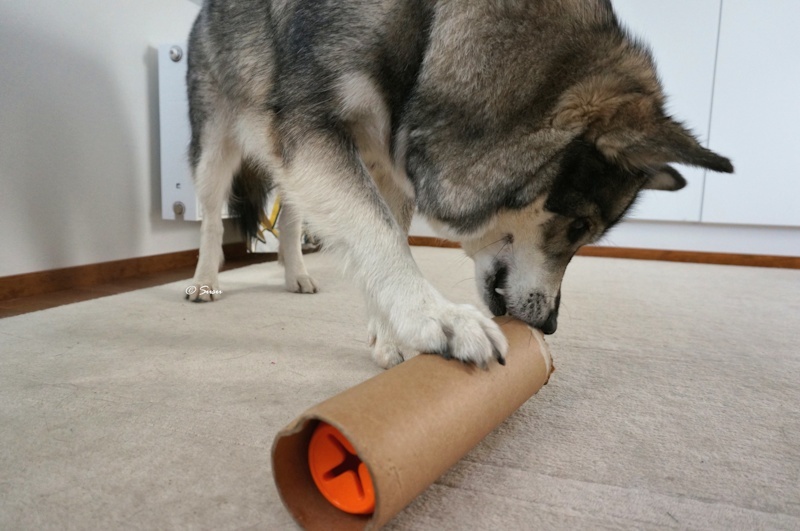 And because this toy is more or less elongated you can also put long sticks inside, which you can’t do with majority of food dispenser toys. 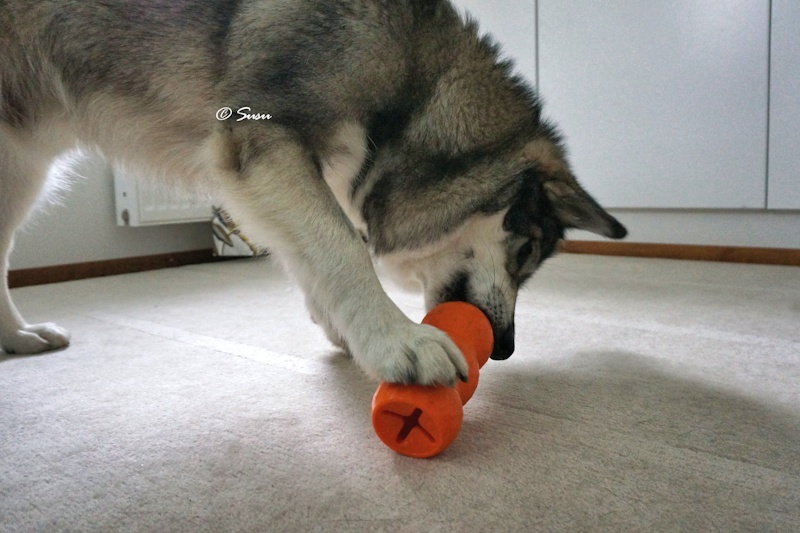 I have also tried some soft treats with this toy, like a slice of ham or a slice of cheese. 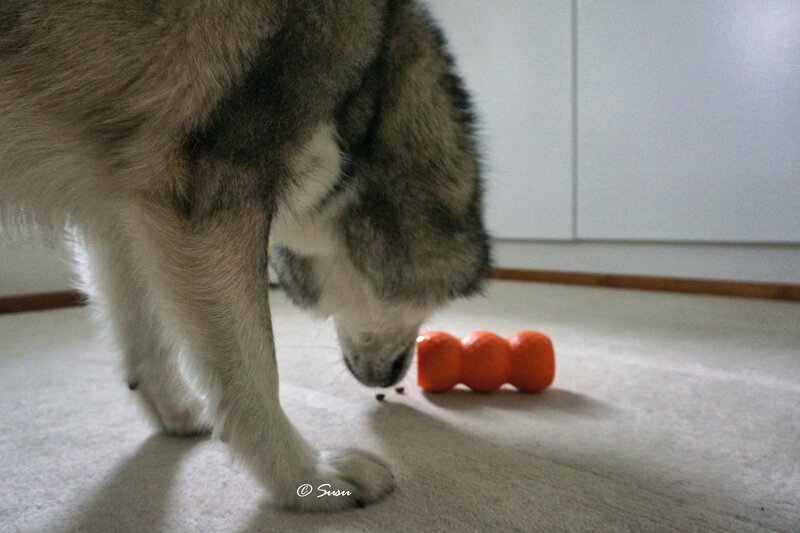 But it takes Miki only about 20 seconds to get the soft treats out. The toy you see in the pictures has been around for many years. Although we use the toy weekly it’s still almost in a mint condition. Miki’s not a mouthy dog but it amazes me that this toy still looks almost like a new one.